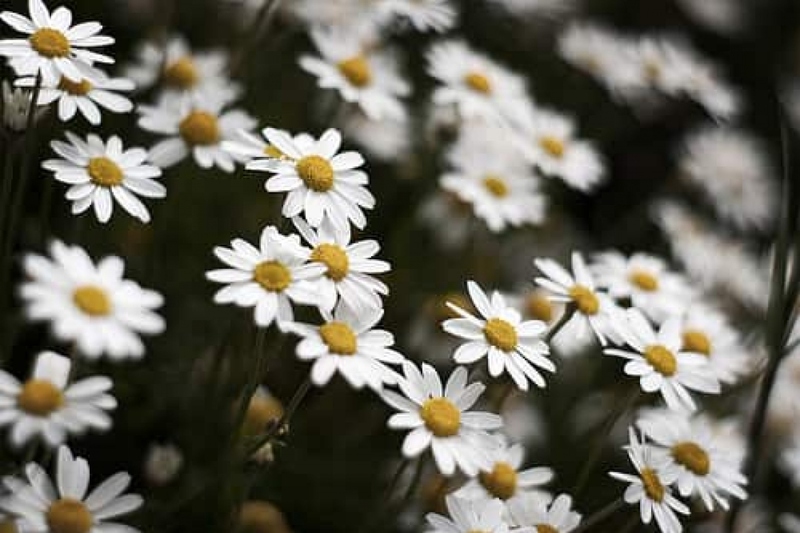 Daisies (Leucanthemum): growing, planting, caring. Daisies are the flowers of the wild par excellence, hardy and beautiful. You can find daisies everywhere - even on the roof of our offices! As soon as they find light, water and well drained soil, they settle down. There are many daisy species from Europe and Asia, and horticulturists have produced double-flowered cultivars that are more demanding in terms of soil. The common daisy is surprising, as it takes on many appearances. Its white flowers blooming in the spring are between 2 and 5 cm, with elongated leaves 2 to 10 cm. The daisies are just as hardy as their relatives, the asters. NB: daisies are edible flowers, with a soothing effect. Plant daisies from March to May or from September to October, in the ground or in pots. Prefer a rich soil for horticultural daisies, botanical species are less greedy. What matters is that the soil is well drained, cool, in full sun. In pots, prefer a sunnier spot, and a substrate composed of potting soil and garden soil. In open soil, dig a hole 3 times the size of the root ball. Mix several compost handles with the original soil - if your soil is heavy add coarse sand or gravel for better drainage. Soak the root ball in a bowl for 3 minutes. Drain it, install the plant and refill the hole. For a more nice mass effect, install at least 3 plants spaced 30 to 40 cm apart. Place very large varieties preferably in the background of the massif. In pots, drain with clay balls or gravel and add garden soil or ordinary potting soil. After planting the seedlings bought in buckets, let the soil dry between two waterings for 5 cm until growth begins, then water copiously. Once properly installed, water your plants only in dry and windy weather or in case of prolonged drought. Avoid watering and weeding; mulch the foot of your daisies after planting. Daisies multiply easily by tuft division in March. A cut in the middle with the spade, a new hole, and voila ... A few compost handles and a small watering can later, you have a new daisy!